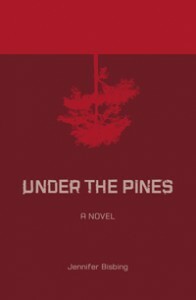 Told through the eyes of eight-year-old Josie Banks whose recently inherited psychic gifts meld science with the paranormal, Under the Pines is a fast-paced and surprising story of abduction, mistrust, and murder. Author Jennifer Bisbing intertwines her own 1970′s childhood memories of life with a renowned forensic scientist into an authentic whodunit. Drawing on her father’s career — which included forensic consulting on high-profile cases like the O.J. Simpson trial and JonBenét Ramsey murder, as well as the hit CBS show CSI — Bisbing reveals how one girl, powerful beyond measure, can derail conventional crime scene investigation.